Socks printed to look like cowboy boots. Cowboy boot socks for men, women and kids. Yep, that's what I said. It's a pair of socks, but they look just like cowboy boots. I know some folks won't get caught without their boots on, so this will be a cool comfortable way to have that look. 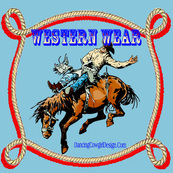 Western designs printed right into the sock to wear with or without your boots on. You have seen the traditional style that I am talking about, like the one in the picture. They come in all colors shapes and sizes with decorative stitching. Most of the time we get them well worn and so comfortable that we don't even notice that we are wearing boots. Well. I have found something that might even beat that for comfort. Ariat Women's Knee High Western Boot Socks are available in a variety of different colors. If you prefer a crew sock style instead of knee high socks, these by Foot Traffic will be great. They come in men's and women's sizes. Don't ask me why these infant socks below are titled as boys. Looks to me like they would be perfect for little cowgirl also. You can get these little socks in this set with 6 pair or they are available individually in some colors. These pretty little socks are for cowgirls. They are designed to look like cowboy boots also but have some fluffy pink tulle around the top. These are just some of the designs available in cowboy boot style socks. 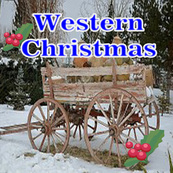 They will make great gifts for Christmas, Mothers Day, Fathers Day and Birthdays for anyone who likes western things.